Cell phones are as carcinogenic as coffee, pickled vegetables, coconut oil and carpentry. 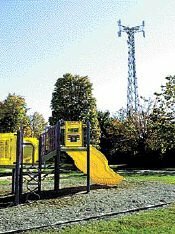 At Steel in the Air, Inc, we have assisted a number of municipalities with cell phone tower lease proposals at schools. We have also provided guidance to a number of schools, both public and private across the United States.